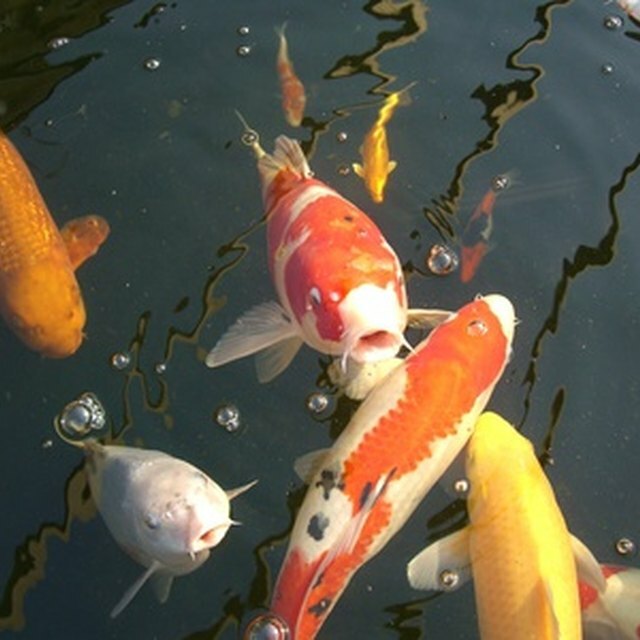 How Do Koi Fish Reproduce in Freshwater Ponds? Mosquito fish are perhaps the easiest fish to breed in North American waters. Scientifically known as Gambusia affinis, this little fish is prolific and a popular addition to freshwater aquariums and outdoor ponds in the southern half of the United States. Gambusia affinis gets its name from its taste for mosquito larvae that inhabit the same slow streams and shallow ponds to which mosquito fish are native. A mosquito fish can literally consume hundreds of larvae in a short time and as a result is raised and stocked in swamps for this purpose. Mosquito fish are the only North American fish classified as a livebearer. The young are swimming at birth and bear a striking resemblance to the common guppy. Anyone can breed mosquito fish if you follow these easy steps. Prepare a suitable habitat for your breeding mosquito fish. Set up an aquarium that will hold at least 10 gallons of water. Include a water pump to provide aerated water, a water filter containing charcoal and angel’s hair to keep the water clean, and several live or plastic plants. The bottom can be graveled or left bare. 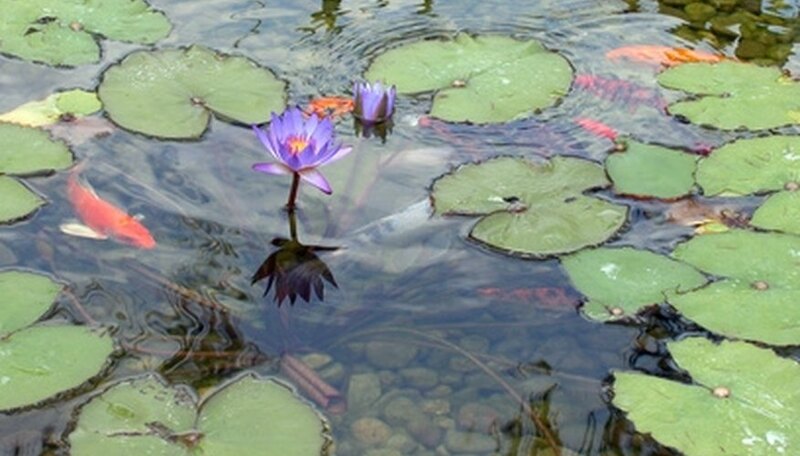 Outdoor ponds in warm regions should be at least 3 feet deep, have submerged vegetation and include a small pump to keep the water from stagnating. The plants provide cover for the young mosquito fish and will prevent their parents from consuming them. Room temperature water is ideal. Stock the aquarium or the pond.Your 10-gallon aquarium will reasonably house two pairs of mosquito fish. The females will soon give birth to several minnows each, and the young fish will need the room to grow. In warm weather a pair or more of Gambusia affinis can be released into an outdoor pond. Breeding will take care of itself without further attention. Watch for changes in the adult females. When the females drastically reduce in size, carefully check the vegetation for the presence of young fish. When minnows are present, it’s a good idea to remove the adults to avoid predation on the young. Feed the young mosquito fish. Use a finely ground prepared tropical fish food. The young fish will eat the prepared food as well as microscopic plants and animals growing in the vegetation. When the young are a few weeks old, introduce mosquito larvae seined from a bucket of water that’s been left outside. Young brine shrimp can be raised from commercially available kits for an added source of nutrition. Mosquito fish reach maturity in about two months, and the females can then begin having babies. Most females give birth to about a dozen minnows as often as three or four times a year. During prolonged warm weather or in an aquarium, the number of broods per year can be higher. Mosquito fish make easy-to-keep aquarium fish that will enliven any office or room in the house. Pollutants are especially a problem in outdoor pools. Lawn fertilizer and weed killer can be washed into the pond by rain water. As the pollution accumulates in the pond, the mosquito fish will begin dying. Greg Keefer has been a freelance writer since 2002. He has written extensively on hunting, fishing and law enforcement subjects and has over seven hundred magazine articles, hundreds of online website contributions and a book to his credit. His work has appeared in Intermedia Magazines, Fishing and Hunting News and Ohio Outdoor News. Keefer is a retired police lieutenant and avid outdoorsman. Keefer, Greg. "How to Breed Mosquito Fish." Sciencing, https://sciencing.com/breed-mosquito-fish-5776599.html. 24 April 2017. What Fish Will Help Clean Up a Pond?